Being a teenager in the early- to mid-1990s was probably the next best thing for a diehard Beatles fan who was too young to have experienced it the first go-around in the 1960s. With the announcement of the Beatles Anthology TV series, two "new" Beatles tracks, and three 2-CD sets of outtakes and rarities, it was a second wave of Beatlemania that was absolutely thrilling. As an obsessed 14 year old in 1994, I collected every newspaper and magazine clipping on the band that I could find (all of which I still have!) and eagerly awaited the new releases. Of course, during this time there was an increase in books released about the band, some great and some awful. 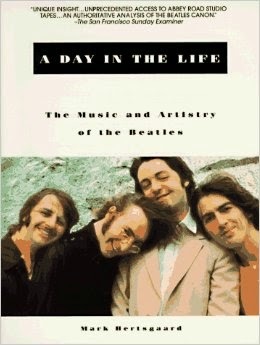 One such book released during this period is the subject of this review, A Day In the Life: The Music and Artistry of the Beatles. I had read an article in a newspaper around this time discussing an upcoming book written by Mark Hertsgaard. The drawing power of the book was that he was the rare second writer (the other being noted Beatles historian Mark Lewisohn) who was allowed into the tape vault of Abbey Road Studios to listen to the Beatles master tapes. That, and the fact that he was an American writer in contrast to the British Lewisohn, gave the promise of a slightly different take on the musical evolution of the band. I eagerly awaited the book and bought it as soon as it was released in 1995. I read it once and then it sat on my bookshelf ever since, so I decided to give it a fresh re-reading for the present review. The purported draw of the book was to be that Hertsgaard would focus on the music of the Beatles and not dwell too much on their personal lives; this was to be an in-depth and analytical look not only at their released records, but at the process that went into their creation. Coupled with his access to the session tapes, it was set up to be a substantial tome to supplement all of the great works Lewisohn had written about the band. However, as you'll see as this review progresses, the book never quite ascends to the lofty perch which Lewisohn's books occupy. A Day in the Life is laid out in chronological order, beginning with the Beatles' first recordings for EMI and George Martin in the summer of 1962 and continuing through to their final recording session in 1970. Along the way, the author devotes chapters to each album the band recorded and released, as well as topical chapters interspersed throughout that are dedicated to other important aspects of their career, such as Brian Epstein's management, George Martin's production, the Beatlemania phenomenon, the Lennon/McCartney collaboration, and so on. While the book checks in at around 430 pages, the individual chapters are rather short so that the book seems almost like a series of vignettes about the band's music, making it quite enjoyable to read. The downside is that there is really not much of substance throughout the book, making it an enjoyable read that manages to be strangely unsatisfying at the same time, saying a lot while not really meaning anything in the end. This is especially noteworthy with what I consider to be the biggest missed opportunity of the entire project: the author's access to the session tapes. Whereas one would expect a fairly in-depth analysis of the creative process through the alternate versions and earlier takes of the songs, which after all was the selling point of the book in the first place, instead we only get the occasional reference to some studio banter or a brief description of a broken-down or early take. Oftentimes, he has nothing better to share about a take than something as meaningless as Paul singing "scoobee-doobee-doobee!" to himself off-mic while waiting for the next run through of "A Hard Day's Night" and other similarly meaningless nonsense that we're all guilty of during the creative process. Worse, almost all of these will be instantly recognizable to any serious Beatles fan, or even someone who has only listened to a few of the more common bootleg recordings or the Anthology albums themselves, which were released within months of this book. (As an aside, I've been listening to the 7CD Unsurpassed Masters series of Beatles outtakes, one of the most commonly available and best collection of outtakes, and the bulk of what is described in this book can be found on these discs!). It seems such a shame to squander the opportunity when a literal treasure trove of material was available to the author. I realize that I'm speaking from the perspective of a fan who has studied these tapes for years and that casual fans will probably learn something new from this book; however, the book was aimed as being a serious look at the music for dedicated fans, so given the intended audience it seems more could have been done with this source material literally at the author's fingertips. Further compounding this creeping feeling of superficiality as the book progresses is the fact that the author relies on outside sources for what little personal background on the band that he does offer. Thus, such apocryphal, oft-told, and flat out incorrect anecdotes such as the Beatles smoking a joint in Buckingham Palace when they received their MBEs (which they never did) get trotted out yet again. The author also doesn't seem to have too deep an understanding of the nuts and bolts of music beyond a rudimentary sense, which is quite obvious when he describes songs that have key-changes when they really don't, or "two-chord sequences" that actually comprise of four chords, as but two examples. As a musician, these really irritated me and I can see them doing the same for any other Beatles fans reading the book who also happen to be musicians. Finally, while some degree of subjectivity is to be expected when discussing music, and acknowledging that it is almost impossible to remain purely objective when discussing music as everyone has their own opinion, the author often lets his personal views on the music get the better of him. He summarily dismisses several generally universally-lauded tracks as little more than throwaway while doing the opposite to several songs that the Beatles themselves have called "work songs." Again, opinions are of course subjective but I think it's safe to say just about everyone acknowledges that "A Day In the Life" is a defining achievement, whereas a lesser song like "It's Only Love," while very catchy and enjoyable, is nowhere near the same level. Finally, while I commend Hertsgaard's attempts to dig a little deeper into the band's music and the context in which it resides, he has an annoying tendency (as did MacDonald in his excellent but similarly frustrating book Revolution in the Head, which I will review at a later date) to over-analyze the songs and lyrics to almost comical effect. However, where MacDonald tended to take all of the joy out of the music by focusing too much on the songs' construction or lyrical meanings, Hertsgaard's over-analysis border on the ludicrous at times. While several of the early Beatles songs, for example, have the occasional lyric tossed in that elevates them slightly above the "boy-girl" narrative they purposely pursued, one certainly can't infer much more of a meaning behind, say, "From Me to You" than is already clearly communicated out of the mouths of the Beatles themselves on the record. A Day In the Life was almost universally hailed by book reviewers and the press when it came out in 1995 and as a giddy 15 year old, I read it and was summarily impressed by the book, rating it one of the best books on the band that I'd written. However, over the years the reappraisal of the book has gradually brought opinion about it back down to earth. Having given it a fresh and critical reading 20 years later as an older, wiser, soon-to-be 35 year old, I can now say that while it's an enjoyable and fairly interesting book, it's by no means the essential or scholarly read on the Beatles that it was initially made out to be. While it's pleasant enough and never becomes annoying as some other, more lightweight Beatles books do, it manages to say a lot on the band and their music without really saying much at all. My 7/10 rating doesn't necessarily mean this book is bad; it simply means that it's not as good as the better Beatles books that are available. While overall my recommendation for this book is positive, anyone more serious about learning about the band and their music will find this to be little more than a broad overview and a good starting point. More in-depth, well-researched, and substantive information can be found elsewhere. 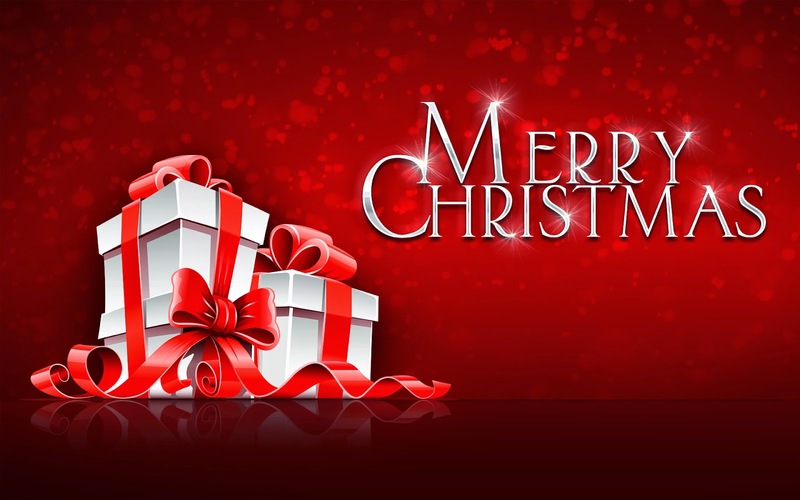 Just a short message wishing all of my family, friends, and readers a very Merry Christmas filled with family, rest, relaxation, and all of the blessings you deserve. I'm very blessed in my life and thankful for all that I have, and Christmas is always a time of reflection for me as we get ready to head into a new year next week. Whether the religious aspect of the holiday means anything to you (as it does for me) or not, I think we can all agree that believers and non-believers alike can agree that a message of peace, love, and goodwill toward our fellow men and women is something we should all strive for, especially in these troubled times here at home and around the world. I'll be back to my regular schedule of posts here after a few days, but until then I'm going to enjoy Christmas and I hope all of you do, too. Jimmy Page needs no introduction. As the founder of Led Zeppelin and one of the greatest guitarists and producers in rock history, he's left an indelible mark on music and is rightly revered as one of the all time giants of the genre. However, much like the band he launched and guided to almost universal acclaim during their twelve year career, the man remains shrouded in mystery. Part of this is down to how private and quiet a person he is, while much of it was and still is a purposely cultivated mystique. His long-standing distrust and disdain for the press, going back to the earliest days of Led Zeppelin, are also a huge reason why so little is known about Page beyond the music. While there have been books written about the band, some of them quite good, not much has been devoted to Page in particular. This is surprising given his stature as a musical giant in the rock world and the high esteem in which he is held. A very good biography was published several years ago, but this was unauthorized and done with no input from Page whatsoever...only the author's dogged research gave the book its source material. In recent years, Jimmy has published a photographic memoir called Jimmy Page on Jimmy Page, but this was a very expensive limited edition book although a less expensive mass-market version has recently been released (which I hope to review on this site soon). However, even this book focuses only on Page the musician and doesn't reveal any insight into his private life. 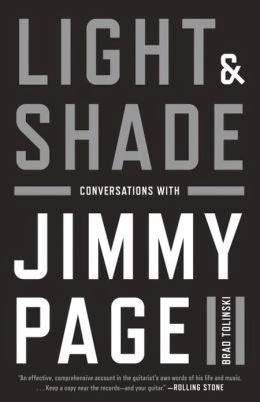 That is where Light and Shade: Conversations With Jimmy Page tries to fill the gap. 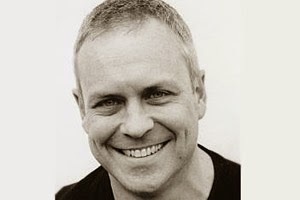 Brad Tolinski is well known as the editor-in-chief of Guitar World Magazine and is someone who has interviewed some of the most famous names in music. Over the years, he's sat down multiple times with Jimmy Page and discussed a wide range of topics, mainly relating to music but also to Page's personal life, drugs use, and interest in the occult. This book is compiled from the author's numerous interviews with Page and presented in chronological order such that it presents a picture of the guitarist's life from his birth and childhood in rural Surrey in 1944 all the way to the present. While the bulk of the book understandably focuses on his work in Led Zeppelin, there are also many other fascinating areas of Page's career that are touched on. This is most notable when the end of Zeppelin in 1980 is discussed, as most books treat Page as though he'd stopped working at this point. Light and Shade doesn't do this, instead devoting a significant portion of the book to Page's various solo and side projects throughout the 1980s and 1990s, culminating with the one-off Led Zeppelin reunion in 2007. The structure of the chapters remains the same throughout the book: a short two-to-five page summation of that particular phase of Page's life and career followed by the relevant interview between the two. Even though these interviews took place over the course of many years, it is to the author's (and his editor's) credit that it never feels like a cut-and-paste job. It's remarkably readable and flows quite nicely. Many of the passages will be well known to fellow Zeppelin fans, but there is still a lot of interesting insight from Page. More than that, hearing him discuss his life and music in such informal settings really does a lot to humanize him. While one is still left with a sense of mystique and intrigue about the man, especially because he never gives away too much when it comes to his personal life, he does peel away quite a few layers of mystery from his image. It was interesting, too, to hear him say that he knows a lot of the false narratives and urban legends that have sprung up about him over the years. In many cases, he's more than happy to reveal that what we've all thought about him over the years is incorrect...but he won't set the record straight. It also shows that he has quite a dry and funny sense of humor, something that is not usually associated with him. Where the book really gets good for fans, especially if, like me, you play guitar and grew up in awe of Page's mastery of the instrument and his studio production, is when the discussion turns to specific songs, albums, and recording sessions. Again, Jimmy doesn't give all of his secrets away, but to hear him discuss the various guitars, amps, effects, and settings he used, as well as how he mic'd and recorded it all, is just wonderful. I was instantly transported back to my small bedroom circa 1993, remembering how I spent hours puzzling over certain riffs and sounds on Zeppelin records while I tried to suss them out on my guitar. It's also great to read him really expound upon his early pre-Zeppelin years as a top session guitarist and member of the Yardbirds. In particular, his lifelong relationship with childhood friend (and former Yardbird bandmate) Jeff Beck is really cool to read about. There are several chapters, termed "Interludes," where Page, the author, or an outside writer will expound upon a particular aspect of Page's life, such as his gear set-ups, his top-10 guitar moments, his stage fashion, and so on. There is even one written by his former Zeppelin bandmate John Paul Jones, which I really enjoyed! The only ones I didn't particularly care for were the joint interview with Jack White (whom I do like) as it didn't really contribute anything in the way of knowledge about Page, and the final one where an astrologer expounds upon the heavenly signs to discuss Page's life. However, these are minor quibbles of mine and hardly take away from the book as a whole. Overall, this is a great book and probably the closest we will ever get to an actual autobiography from Jimmy Page. While it does somewhat frustratingly not offer a ton of new information in regards to his personal life, there are some new bits in here. Better than that, though, are all of his discussions on the music...how it was written, how it was recorded, and how Zeppelin performed it live. This book isn't perfect, but it's excellent and I highly recommend it as an essential read for any Led Zeppelin fan. Any time you can learn from the master himself, how can that not be a good thing? I will start this with a brief background on my own experiences...if you want more detail, you can read the other posts that I've written previously and linked to above. In a nutshell, I pursued my PhD in organic chemistry after I graduated college in 2001 because I loved materials synthetic chemistry and wanted to pursue an academic career. I finished my PhD in 2006 and started a postdoc. However, 3/4 the way through my postdoc, I realized I loved being in the lab doing research and had no enthusiasm for teaching. 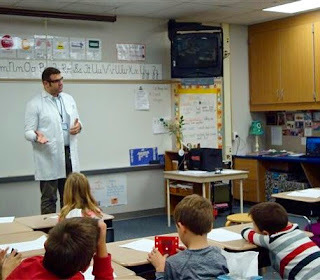 Coupled with the low starting salaries in academia (at the time my wife and I had two kids) and all of the extraneous work of grading exams and homework, coming up with course syllabi, and all of the extra things that go along with being a professor, I decided to pursue the industrial path instead. In late 2008 I finished my postdoc and started my first job as a professional chemist. Two job changes later and I am now working as a materials chemist but with an emphasis in engineering, organometallics, contact physics, and metallurgy. I love what I'm doing and even though I miss doing synthetic work, my background has helped me out as I've progressed down this path. Sounds rosy, no? 1. Would I recommend a PhD in chemistry (or any science) to anyone who is either graduating college or who wants to go back to school? This is a tough one because there's no right or wrong answer. What follows is, like the rest of this post, mainly my opinion. I realize that all things, like the economy and the job market, are cyclical and what I say now is based on how it is now, and that things may and probably will change. With all of that said, my answer at worst is a cautious but firm "NO" and at best is "it depends." There are several reasons, many of them dependent on current conditions as I alluded to, and many that are concrete regardless of what's going on around us. As far as the fluidly dependent reasons, right now is a bad time to either be graduating with a degree in science or looking for work in this field. As bad as the overall economy and job market are in this country, they're even worse within chemistry (which is the field I know best). First and foremost, there is a glut of PhDs who are either working in the field, unemployed and looking for work in the field, or graduating and looking to enter the field. This is due mainly to the fact that graduate schools are driven to publish and bring in grant money, and the decades-old model for doing so is to employ loads of graduate students and postdocs to do all of the work. As such, groups and departments that are successful bring in more and more students to accomplish all of this, which is great except that at the end of their time in grad school, they are flooding the market and competing for a finite number of positions that is shrinking on a daily basis due to economics and jobs moving offshore (this is especially bad if you're in pharma/medicinal chem or biotechnology). It's the same issue that's plagued new law school grads for years: too many of you and not enough jobs to go around. In chemistry, this has led to many scientists becoming career postdocs or non-tenured staff scientists at universities, making slightly more than their grad student and postdoc brethren, but often not getting health or retirement benefits and with little room (if any) for career advancement. And once you've entered this cycle, it's VERY hard to get out of it. Industry, in particular, looks down upon this during the hiring process when they see it on a resume (and I know this from having been involved in many hiring processes throughout my career). Another factor to consider is what I've always termed the Input/Output Ratio; that is, what you put in to getting the PhD vs. what you get out of it. Again, none of this is sour grapes on my parts because I've been blessed and lucky in my own career: I finished my postdoc in 2008 and got my first job literally a month or two before everything went to hell with the economy and through a combination of hard work, networking, and a smidgen of luck, I've worked at a few different companies and am now really happy with where I'm at. However, when looking at this Input/Output ratio, even for someone who has had an on-the-whole positive experience with it all, this ratio is woefully imbalanced. Let me put it this way: you put in AT LEAST five extra years of school after college, school where your tuition is paid (yay!) and you receive a stipend (not much, but still...yay!) to teach undergraduate labs (meh), spend long hours, nights, and weekends in the lab (depends on your advisor as to how hard you're driven) and have a LOT of stress coming at you constantly as you have to work to pass your classes, pass your seminars, pass your cumulative exams, pass all of the hurdles and requirements thrown at you, AND generate lots of good data and progress in your research such that you can publish some of it (which helps your advisor's reputation and helps your resume as you prepare to apply for a postdoc and/or job). Assuming you're not a "non-traditional" (ie older) student and you started your PhD right after undergrad, you will be ~27-28 when you finish (I was 26). Then it's off to a postdoc for additional training. In your postdoc, it's all about research and mentoring the grad students in your group. You still have to work really hard and the more papers you can publish, the better. This fellowship can take anywhere from 1 to an infinite number of years depending on your situation (and your advisor's grant money). Somewhere in there, you have to carve out some time to polish up your resume, apply for jobs, have phone interviews, and (if you're lucky) travel to on-site interviews until you find a job. 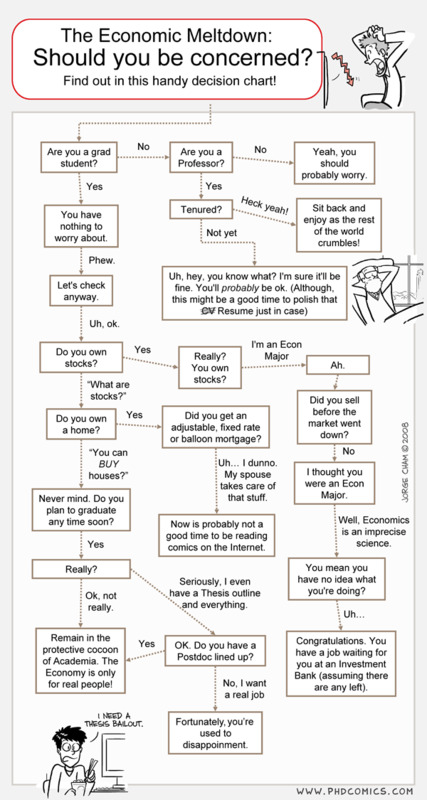 PhD Comics is a brilliant site...anyone who has gotten their degree can relate to these! When it's all said and done, your 20s are pretty much gone. I was 28 when all of this finished, and I was lucky to be this young for several reasons: 1) I'd skipped 5th grade in elementary school so I was a year younger than everyone in my class, 2) I had great advisors in both grad school and postdoc who really did help me, mentor me, and encourage me, 3) I published a LOT of papers before applying for jobs, 4) I specialized in an area of chemistry (materials) that is actually growing and in high demand, and 5) my timing was beyond fortuitous, snatching a job after just under 2 years of postdoc right before the economy collapsed. However, I realize my experience isn't the same as everyone else, and I have some close friends who have had about as polar opposite an experience as I did in all regards. These are not all-inclusive, but range from working for an unpleasant advisor, too few or no papers published, unexpected loss of a position due to grant money running out, and a skill-set that is not in demand by employers are all some reasons some of my friends have struggled and continue to struggle in this market. Remember, too, that while you are spending your 20s working hard in grad school pursuing this degree, your friends who majored in other subjects (or went with the Masters degree instead) are working and earning a living, progressing in their careers and settling down in life. I have many friends who started working in 2001 (the year I graduated undergrad) with their bachelor's degrees in engineering, computer science, business, etc while I started grad school. By the time we all hit 30, I had been working for not quite 2 years and was just starting on the career ladder while they had been working for almost a decade, were earning as much or more than I was, and had gotten promotions, raises, bonuses, etc. They had saved money, bought houses, new cars, went on vacations, and started families...I didn't get my first raise until I was in my early 30s and didn't have a retirement account to start saving money in until this past year. I was lucky to have met my wife in college, we got married right after college, and started our family mid-way through my PhD (it wasn't easy balancing all of that at the time!) but I was the exception, not the rule. Most, not all but most, of my colleagues in grad school and postdoc put all of that off until after they graduated. So I am now 34, been married for 12 years, and have 4 kids while many of my friends the same age are either still single, newly married, or newly married and are just starting to have kids. Most people have to put adult life on hold a LOT when they're in graduate school. So, to answer question 1 in this first part, To PhD or Not to PhD? My overall answer is "it depends, but probably no." I don't say this emphatically and I don't begrudge anyone who decides to go this route, but make sure you know what you're in for, not only while you're in school but what will be your prospects when you get out. If you truly love chemistry/science and know without a shadow of a doubt that it's what you want to do as a career, then go for it, but if you're not 100% sure in your convictions, it might be best to think about something else that you can do. For everyone who has been fortunate through the whole process (as I consider myself to have been), there are many more who have gone through hell and back (or not at all). There are no guarantees in life and that holds true even more for the PhD chemist.